I think most of us with kids have seen the cute Santa advent calendar where you add a cotton ball to Santa's beard each day. Now that fun Santa countdown calendar has gotten even more fun with this updated printable Santa advent. 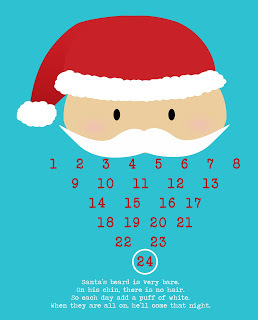 You can download your own 8x10 printable Santa countdown calendar over at Inviting Printables.